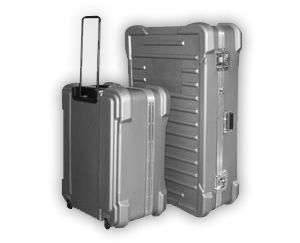 Hard side cases are cases that are considered to be heavy duty. 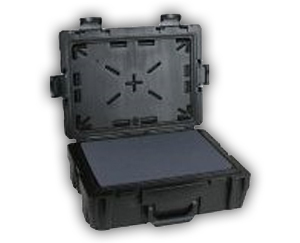 These cases can withstand more punishment than lighter cases. They offer more protection and strength when used for shipping. It can be reused and will last for years to come. 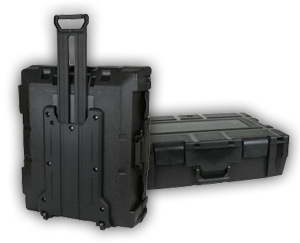 Hard cases can be used for shipping, storage and as sales or equipment cases. 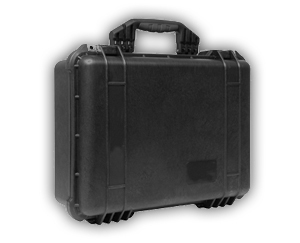 These cases come in stock or custom sizes made of plastic (including blow molded, roto molded and thermoformed) metal and wood. Interiors serve to exactly position and protect your product or equipment. Lastly, all of them are available with a common set of options including tilt wheels, recessed wheels, casters, recessed hardware, extension/telescoping handles, tool/instrument palettes, trays, partitions, compartments, dividers, custom printing, logo screening, etc. For over 35 years Allflex Packaging Products has developed many long-term relationships with happy customers, by providing them with inexpensive case solutions that save time and costs, take little storage space and are easy to use. They do this by designing custom solutions to fit your particular business requirements using whatever materials are most appropriate. Once we know the size(s) and weight(s) of your product(s), and the intended use of your case, we will work with you for the best solution from among stock and custom case options to ensure your complete satisfaction.